Hit and run accidents are severe and criminal. Running away from the scene of an accident has many implications, legally and civilly. The act of fleeing the site of a crash is a major offense that requires a similar response. Unfortunately, these types of accidents are not uncommon in California and require the skilled hand of an attorney that is specialized in the field of dealing with them. Hit and run accidents can often lead to severe injury and damage to vehicles. Many vehicles are totaled in such collisions and their passengers requiring major medical aid. There are many upfront costs of immediate medical attention, but this can be followed by months or even years of further treatment and rehabilitation. When wrangling with such mounting bills, insurance companies, and finding the at fault driver, you need all of the assistance you can get. Injury attorney specialization allows them to get well above average results for their clients. They work on contingency, meaning that you don’t have to pay them a cent unless they recover for you. They can help negotiate with the insurance companies and hire a private investigator to determine who was responsible for the crash. They are able to cross check criminal and driving records with evidence they can gather on the scene. They can hire crash reconstructionists and engineers to determine how and why the crash happened and who could be responsible. Many of our members will say: “We’ve seen and handled cases like this before. 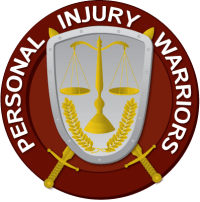 We hate to see the bad guy get away with such a lowly crime and will do everything in our power to find them.” The Personal Injury Warriors’ record, as consisting of the top personal injury and auto accident firms speaks for itself. We’re made up of all types of firms and lawyers, and are typically able to handle things that smaller law firms could not, while giving large firm results, and give the personal attention larger firms feel they don’t have time for. When facing such a situation, make sure that you have someone you can trust in your corner. Contact us for more information and how we can work together to make your life whole again. Call us today for a free consultation about how to best proceed.